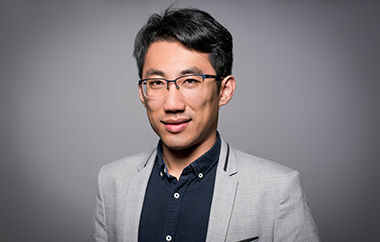 In his research, Dr Yuli Shan focuses on the fields of regional carbon emission, energy and water accounts, sustainable development and climate change economics. He furthermore is building up an Inclusive Sustainability-Wealth Index for developing regions. Yuli’s home country China is the world’s leading energy consumer and CO₂ emitter, considering factors such as rapid economic development, lifestyle change and consumption growth. At the same time, China is playing a major role in global emission reduction and climate change mitigation. Yuli is developing a set of methods for composing CO₂ emissions inventories for China and its regions. His transparent and comparable emission data is uploaded and available for free academic use. His study “City-level climate change mitigation in China” differentiates and generates low-carbon roadmaps for each city. Furthermore, Yuli is engaged in spreading the low-carbon life to students and co-organises a summer school with lectures and seminars on emission accounts and carbon footprint calculation in collaboration with the Applied Energy journal. He links his knowledge of sustainability to environmental science, economics and management. By focusing on water accounts, he aims at analysing the Emission-Water-Nexus, which is indispensable for sustainable development. Therefore, a joint analysis of the emission, energy and water resources needs to be undertaken. The creation of an Inclusive Sustainability-Wealth Index will provide information on the wealth of a country and its sustainability. During his work, Yuli gained attention in the academic society with over 30 publications in high-impact journals, 6 academic awards, international conference presentations and journal reviewer invitations. Green Talents is allowing him to broaden his knowledge and exchange his ideas with experts in his field. Thus, he will gain more experience in interdisciplinary research, which is beneficial to the investigation of sustainable development pathways at city level for China as well as for developing countries. The jury especially values Yuli’s scientific expertise regarding his adaption and investigation of sustainability in different cities. Accordingly, they highlight his study “City-level climate change mitigation in China” which found that different cities should have different low-carbon roadmaps due to the natural resources available to them and previous development tracks in each city.